A new UK retail shop, you say? 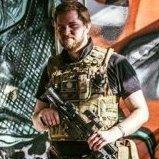 That wants to try and redefine what it means to be an airsoft weapon retailer and revolutionise the airsoft weapons trade like never seen before? At this point we're just getting off the ground. But like the page and stay posted because the website is just around the corner! Punch the face of god. You're going to know about it sooner or later, so to ensure it is sooner instead of later, like the page and book yourselves in for a game day and come and experience the awesomeness of the revolution. seriuously how much was it to buy you out? why is everyone selling out at the moment aswell?!?!?! so what is it you actually do for/with them Openness will attract consumer's just as good as low price's will! I'm their technical help and sales advisor. I'll be answering the emails they get sent regarding sales and problems and giving them the low down on which brands are trending at the moment, who makes the best guns and stuff like that. Once we've reached him, you can punch him in the face as many times as you like! Customer service is already top of our list, the skirmishing site has a very good reputation RE customer service, so fingers crossed we'll turn a profit in no time. Already had £800 in sales in only one day on site and that was only between about 30 people and just a few gun sales. So once the entire internet has the ability to purchase stuff 24/7 we ought to kick up a storm. I just hope we manage to keep on top of everything, as organising our existing lives around running an online shop might take some getting used to. There have been some sales listings on the Facebook page for a while now, including the APS UAR, take a look and see if there's anything you fancy. Link to the page is in my first comment. Website ought to be up soon. If there's anything you're after that isn't on the page, leave a comment and we'll see if we can get it ordered in for you. Just be aware that everyone involved is still running their own businesses to pay their bills, so this isn't staffed as a 24 hour venture as of yet. Until we get a bit more firmly planted it might take a few days before we get a reply to you.